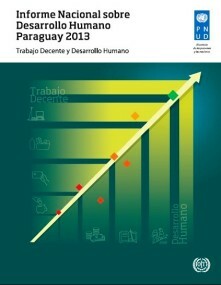 El presente informe analiza el desarrollo de las personas en Paraguay vinculando dos paradigmas: Desarrollo Humano (DH y Trabajo Decente (TD), utilizados por el Programa de las Naciones Unidas para el Desarrollo (PNUD) y la Organización Internacional del Trabajo (OIT), respectivamente. El DH sostiene la ampliación de las capacidades individuales y la libertad de las personas para lograr una vida mejor. La OIT define el TD como el trabajo productivo para los hombres y las mujeres en condiciones de libertad, equidad,seguridad y dignidad humana. Le Niger, à l’instar des autres pays du monde s’est engagé à élaborer régulièrement un rapport sur le développement humain. A chaque fois, les rapports nationaux sur le développement humain analysent un thème bien précis en rapport avec la situation du moment ou avec le thème annuel du rapport mondial sur le développement humain. A cet égard, le rapport national de cette année retient comme thème d’analyse un aspect aussi important que d’actualité, à savoir : «la protection sociale au Niger». C’est pourquoi, ce rapport placera au centre du débat la question de la protection sociale à un moment où de plus en plus de voix s’élèvent en faveur de l’équité et de la protection des couches sociales les plus vulnérables. lives and livelihoods and empower people so that they are able to contribute to risk reduction. 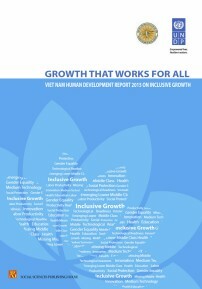 The 2015 National Human Development Report “Growth that works for all” examines how a policy framework based on inclusive growth can offer a pathway to advance human development in Viet Nam - as it enters a new and challenging stage of its development. Using the lens of human development, this report takes a people-centered approach, examining Vietnamese people’s inclusion in the country’s development process since the late 1980s. The report finds that in the early and mid Doi Moi years Viet Nam performed well on both human development and economic growth. Economic expansion was inclusive, with benefits widely distributed and opportunities shared. Yet in recent years, the report finds that Viet Nam’s strong performance has waned, and especially after the 2008 global financial crisis. Growth has fallen and disparities between regions, provinces and population groups have not been closed. While the past growth has brought significant social transformation, evident in the shrinking population shares of the poor and near poor, and the rapid expansion of the lower middle class, those in the middle are far from secure, and those still in poverty are harder to reach, particularly within remote ethnic minority communities.